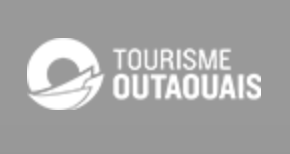 I have been working with Prescott-Russell Tourism this past year to promote this beautiful unspoiled and unpressured section of the Ottawa River and our region in general. Pete Bowman from Fish’n’ Canada calls this his favourite place to fish muskies and it is where after 30 years of television his biggest ever came from here. Colin McKeown from the New Flyfisher has also landed his biggest ever here. Reno Viola from Fish’n’ Canada landed his second biggest ever here. Henry Waszczuk from Fins and Skins and Big City Fishing caught his biggest ever musky here in Prescott-Russell. Gord Pyzer, editor of Outdoor Canada Magazine tells people that Prescott-Russell is one of the best unspoiled musky fisheries in the world. And Alan Gibbins from the Fish Finders TV show landed his second biggest ever here. That’s Alan in the attached picture. Check out. Lots of good musky fishing left. Get out there before it turns to ice.